Light interaction with tissues yields rich morphological and functional information that may be used for the diagnosis and treatment of many diseases. In these respect prime interests of Biophotonics laboratory is in the diagnosis of cancerous and viral/parasitic diseases and treatment. 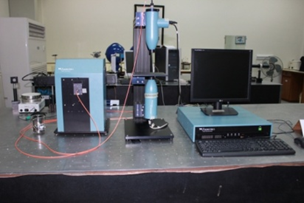 Mueller matrix polarimeter: Axometrics UDA. Imaging of tissues/blood samples at cellular levels using laser scanning confocal microscope. 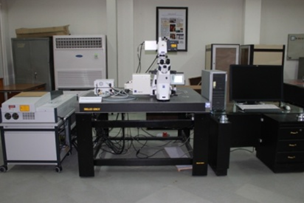 Characterization of tissues and biomaterials using polarimetry. Determination of absorption and scattering properties of tissues and blood samples using double integrating spheres. 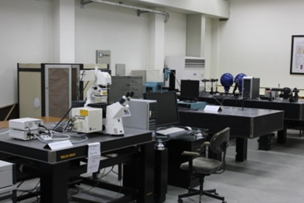 Optical diagnosis of viral and parasitic diseases like dengue, malaria, typhoid, hepatitis B and C employing Raman spectroscopy. Development of optical fiber probes for in vivo diagnosis of healthy and cancerous tissues. Development of fluorescence spectrometer for studying skin aging factors. Development of optical mammography system.